Many thanks and kudos to Betsy Collins, the MMTD Board and all the volunteers and participants who made this Spring Breakdown so memorable. One dancer said it was the best dance weekend she’d ever been to. Wow! Thanks also to Luc for his fabulous photos! He does a great job capturing the spirit of the dance. I know that attending a dance weekend just makes a person want more dancing, and we’re in luck! This weekend we have 2 dances scheduled: the regular Friday Dance and English Country Dance on Saturday. This week we welcome back fiddler John White and his Nine Mile Band. Nine Mile is known for its driving fast music performed by John with David Cavins on guitar, Amber Gaddy on accordion (and perhaps other instruments), and Jim Ruth on banjo. These are some of the best musicians in mid-Missouri! Calling will be back our own favorite master caller, Jim Thaxter. 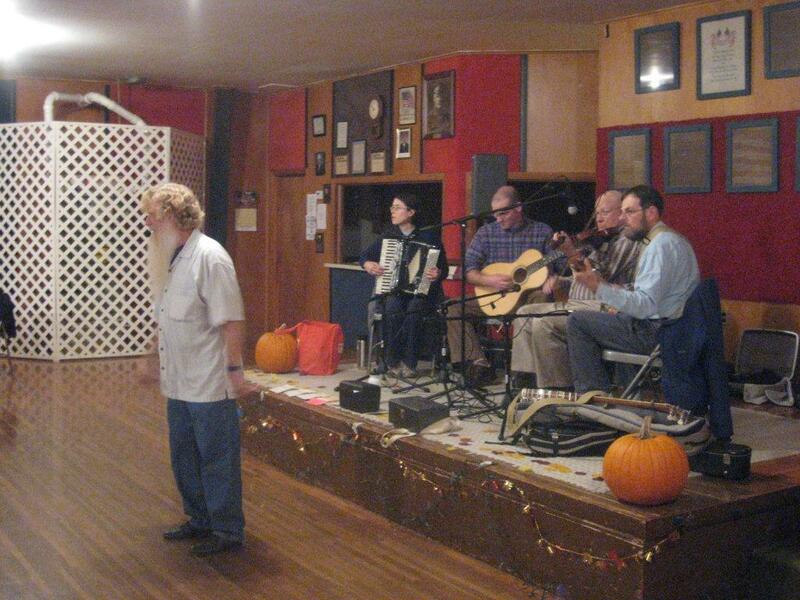 Jim Thaxter teaches and calls the dances throughout the evening, while Nine Mile Band provides some lively old-time fiddle tunes that keep everyone moving. Saturday we will have our next English Country Dance. Music will be brought to us by 32 BarTenders featuring more of mid-Missouri’s best musicians: Tom Verdot on fiddle, Thom Howard on guitar and mandolin, Rebecca Logan on flute and Marcie McGuire on keyboards. These folks weave a delightful tapestry of arrangements for these elegant dances! 32 BarTenders serving up some lively tunes for your dancing pleasure. The dance is from 7:30–10:30 pm (beginners’ lesson at 7:00). Admission $8.00 ($5.00 for ages 16–25 or with student ID; free for children 15 and under). Season pass information is below. Important Note – Please wear soft-soled or leather soled shoes to preserve the floor–no spike heels or cowboy boots. Please carry-in appropriate dance shoes as needed. The BAC has an endless water dispenser with paper cups, but we encourage you to bring a water bottle. Carpooling: If you need a ride or are willing to drive to the Ballroom Academy from downtown, contact Rhett at hartmanga@gmail.com. 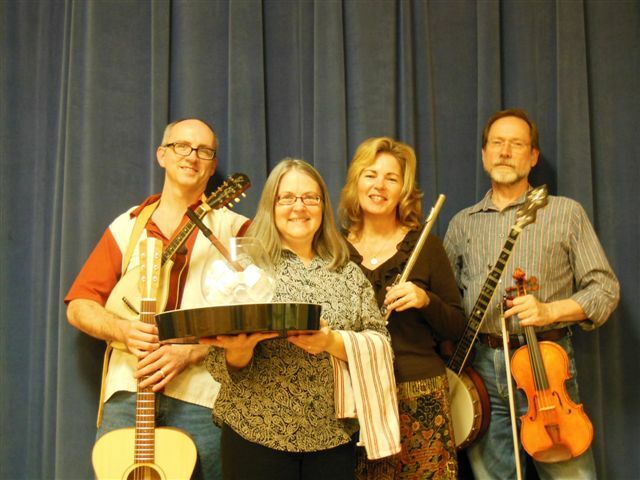 This entry was posted in Contra Dances, Dance Weekends, English Country Dance, Special Events and tagged contra dance, English country dance, Mid-Missouri Traditional Dancers, MMTD, Spring Breakdown 2014. Bookmark the permalink.